Four people were rushed to hospital. 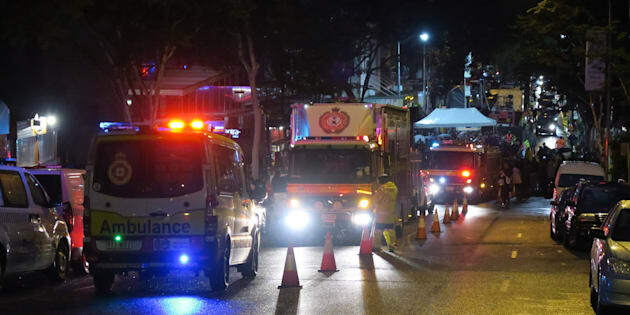 Eight people were injured in a balcony collapse in NSW overnight. Eight people have been injured when a balcony collapsed in Yamba in northern NSW. The structure on the two story building gave way about 8.15pm Friday, with emergency services called to residence following reports of the collapse, police said. Eight people were treated for injuries with four people being taken to hospital for further treatment. A 60-year-old man was airlifted to Lismore Hospital in a stable condition, while two women, aged 44 and 58, were taken to Grafton Hospital, both also in a stable condition. A 61-year-old man was taken to Maclean Hospital and has since been discharged. The structure has been evacuated and will be examined by investigators.